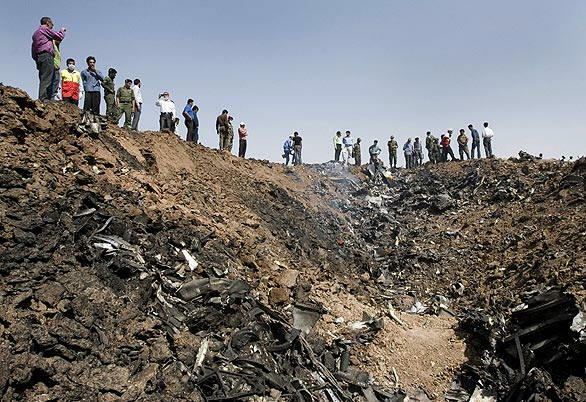 July 15, 2009, TEHRAN, Iran - Caspian Airlines, Flight 7908 An Iranian passenger plane crashed in the northwest of Tehran, near the city of Qazvin. 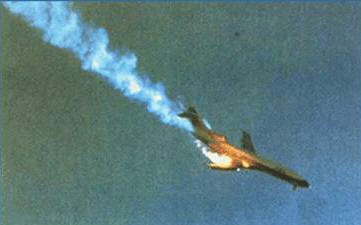 All 12 flight crew and 156 passengers were killed. Russian built Tupolev jet had departed Tehran's Imam Khomeini International Airport about 11:33 Iran Daylight Time and was enroute to the Armenian capital Yerevan. About 16 minutes into the flight, the aircraft crashed into an open field near Jannat-abad village near Qazvin about 75 miles northwest of Tehran. Witnesses report the the plane’s tail burst into flames as the aircraft circled as it looked for a place to land before crashing. Among the passengers were eight members of the Iran's national youth judo team, with two trainers and a delegation chief. They were scheduled to train with the Armenian judo team before attending competitions in Hungary on Aug. 6, state TV reported. The Russian built aircraft was built in 1987 and has served Caspian Airlines since 1998. Caspian Airlines was established in 1993 in Tehran, Iran. It operates services between Tehran and other major cities in Iran and international Flights to Armenia, Syria, Turkey, UAE and Ukraine. Its main base is Mehrabad International Airport, Tehran. Caspian Airlines operate more than 50 regular and numerous charter flights per week between the cities of Iran, same as several scheduled international flights to Hungary, UAE, Syria, Ukraine, Armenia, Belarus, Turkey.